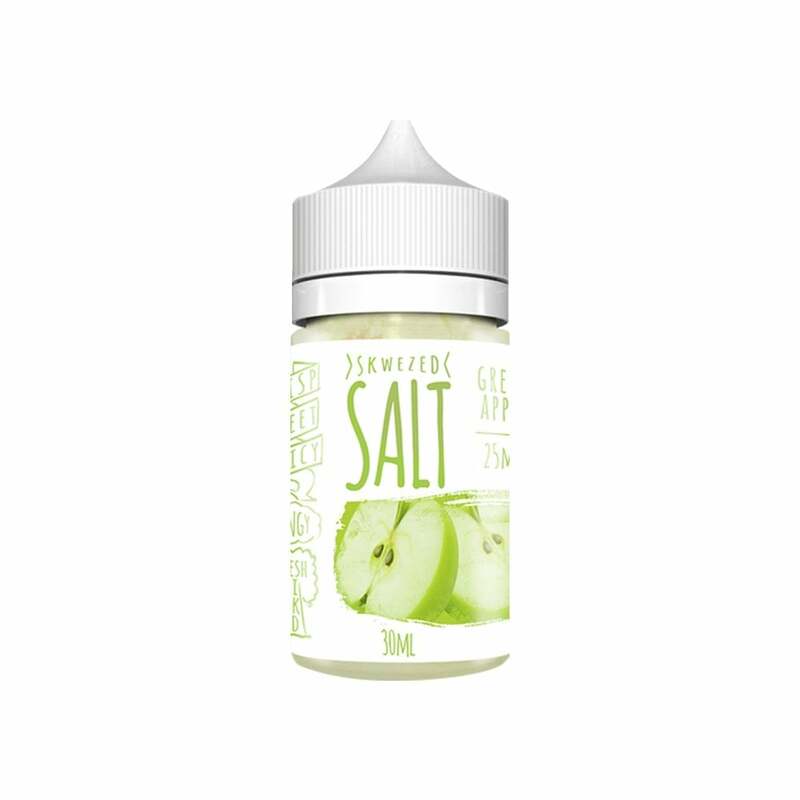 Skwezed Green Apple nic salt is a new staff favorite here at The Electric Tobacconist! This delectable nic salt smells like a green Jolly Rancher, tastes like a crisp green apple, and never fails to give you that satisfying nic salt hit you love. Skwezed Green Apple nic salts are available in 50mg (5.0% nicotine), and 25mg (2.5% nicotine) and are compatible with your favorite pod mod. Lemme start by saying how DELICIOUS this juice is. Sooooo much flavor. It is like a green apple jolly rancher. I have been looking for this for a while now. Secondly if you havent used this website to purchase then get on the train. Shipping is amazing. The site stated at 4 pm their time they would dispatch orders and I placed mine at 3 57. And they did as they said which was a life saver seeing as my suorin air broke and I needed another. Spread the word. The site is great!! !